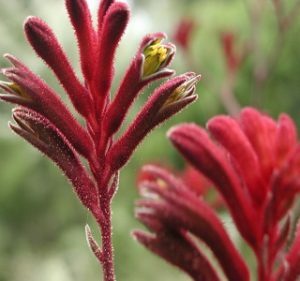 There are few flowers that offer as much vivid color, distinctive form and unusual texture as kangaroo paws. 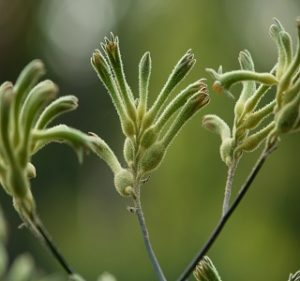 Anigozanthos (pronounced an-ih-go-zan-thos) or more commonly known as “K-Paws” produce clusters of wooly tubular blossoms that do indeed resemble kangaroo toes. The size of the flowers, stem length and color vary depending on the species and cultivar, with over 40 varieties now on the market today. 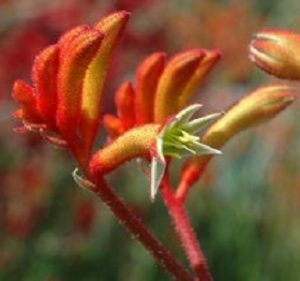 In their native homeland of Australia, these K-Paws appear most prolifically from October to December, however, here in California the season runs from January to September. 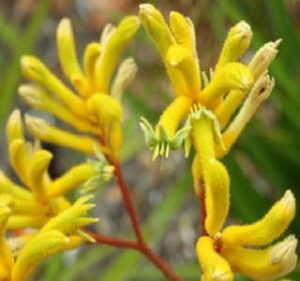 The word Anigozanthos is derived from two greek words meaning “an open flower”. However, it is recommended that K-Paws be purchased with at least one flower in each cluster beginning to open. This indicates a sufficient state of maturity for optimum stem strength and color. Keep in mind that their stem height means they must draw moisture through a long straw and any blockage can easily result in wilting. If cared for properly, K-Paws will last 10 to 25 days and will dry well in the vase gradually, or they can be hung upside down in a well–ventilated area for about two weeks. 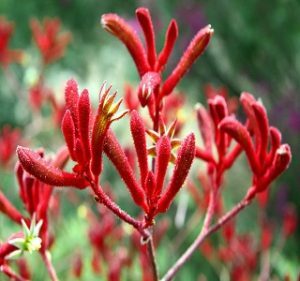 During the hot summer months Kangaroo Paws make wonderful landscaping plants. 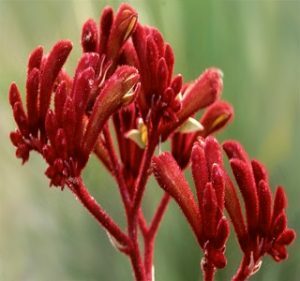 Many varieties are drought tolerant and are favored in areas like Southern California were water is in short supply. 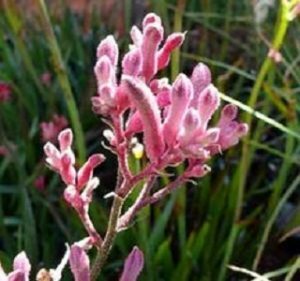 The secret lies in their underground rhizomes, which hold moisture and allow the plant to survive during dry spells. 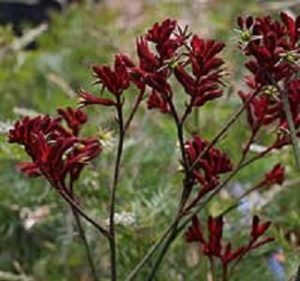 Even the popular black and green Macropidia fuliginosa can survive for years in dry sand plains outside of Perth, Australia. 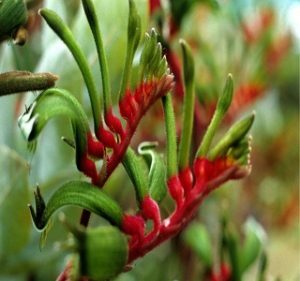 Protea, Leucospermum, Leucadendron, Banksia, Filler Flowers, Foliages, Grevillea, Specialty Flora, Bouquets & Wreaths and Plants.